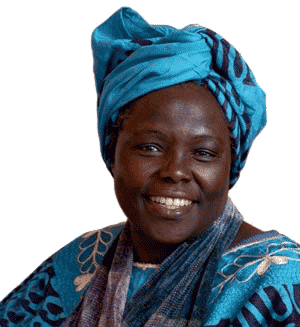 Who was Wangari Muta Maathai (4-1-1940/9-25-2011) ? – and also of a maximum number of other Peace makers, who acted only using non violent means. Taking part in (or organizing) any event sharing the same goals. Getting in touch with as many associations as possible in the fields of ecology, supporting the Third World, feminism, pacifism, etc., in order to create synergies thanks to alliances.